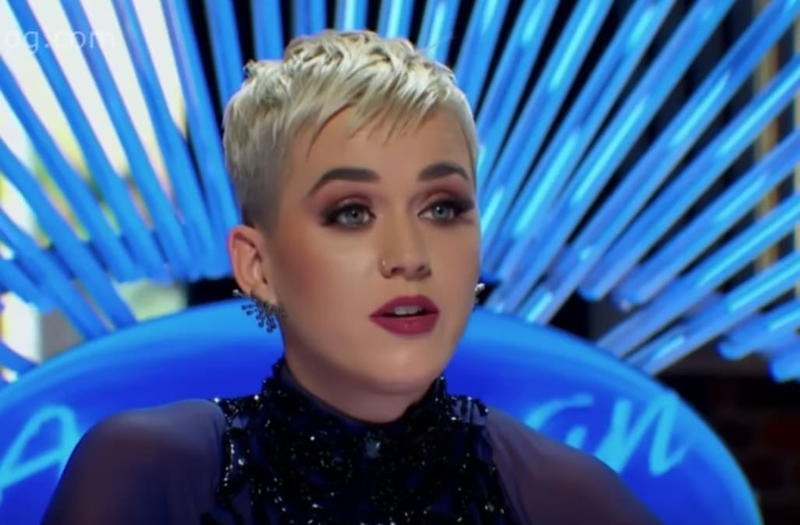 On Sunday (March 18) night's episode of American Idol, judge Katy Perry faced down an apologetic contestant who declared his love for Perry's rumored rival Taylor Swift. After being asked by Luke Bryan who he looks up to as an artist, the contestant began with, "I'm so sorry, Katy," before declaring, "I love Taylor Swift." Perry, who has allegedly been feuding with Swift for some time now, stumbled slightly, responding, "You don't have to apologize." She continued: "I love her as a songwriter, as well." While some are calling the comment "shade," it was actually a pretty tame response from Perry, whose rivalry with Swift was said to have inspired her own single "Swish Swish," as well as Swift's "Bad Blood." The animosity allegedly began in 2014, when backup dancers left Swift's tour to join Perry on the road. Both artists have skirted around questions about the feud in the years since. Katy Perry addresses whether she'll involve the Taylor Swift feud in her Super Bowl Halftime performance, and reveals that Missy Elliot will be joining her on stage for her performance.